I am a windows and internet developer, primarily focused on full-stack development using Visual Studio, SMS, c#, PERL, Php, mysql and of course shell. Having been a consultant since the mid 90's, I have worked very closely with every aspect of the development life cycle, and have additional expertise in designing user experience in both the windows desktop and internet environments. ####As a musician, I am also "knee deep" in audio and video technologies. I am proficient in Cubase, Reaper, Premier Pro and have a deep knowledge of audio engineering. 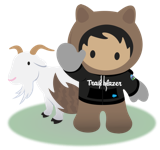 ####I was introduced to SalesForce in 2000 shortly after it hit the market, when I worked for a technology company and am looking forward to seeing how it has evolved. Chris Kersey hasn't posted any ideas yet.